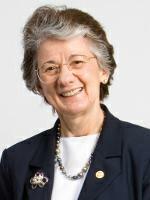 STOCKHOLM, Sweden, March 30, 2010 (ENS) – Dr. Rita Colwell, an American expert on the prevention of waterborne infectious diseases, has been awarded the 2010 Stockholm Water Prize, widely recognized as the world’s premier award for water related research or policy work. The prize, which includes a $150,000 award and a crystal sculpture, honors individuals, institutions or organizations whose work contributes to the conservation and protection of water resources and to improved health of the planet’s inhabitants and ecosystems. The year 2010 marks the 20th anniversary of the Stockholm Water Prize and the World Water Week in Stockholm where it will be presented to Dr. Colwell. Dr. Colwell heads the Institute for Advanced Computer Studies and Cell Biology and Molecular Genetics. She is also an adjunct professor at the Johns Hopkins University’s Bloomberg School of Public Health, chairman of Canon US Life Sciences, Inc. and a former director of the National Science Foundation. Dr. Colwell has made exceptional contributions to control the spread of cholera, a waterborne pathogen that infects up to five million people and leads to an estimated 120,000 deaths each year. Her work has established the basis for environmental and infectious disease risk assessment used around the world, and she was first to link the incidence of cholera to climate change. In the 1960s, Colwell observed that the causative agent for cholera, the bacterium Vibrio cholerae, could survive by attaching to plankton. This led to her discovery that certain bacteria, including Vibrio species, can become dormant in rivers, lakes and oceans under conditions adverse for growth, to revert to an actively growing state when conditions are again favorable. The finding that the environment serves as reservoir of infection contradicted the then conventional wisdom that cholera was only spread by person to person contact, food or drinking water and that its presence in the environment could only be due to the release of sewage. As a result of her discovery, scientists are now able to link changes in the natural environment to the spread of disease using the most modern technologies. Dr. Colwell developed the first model that applied remote satellite imaging to track and predict outbreaks of cholera before they occur. This model has become an archetype for infectious disease monitoring and prevention used around the world. “That allows us then to pinpoint both in time and space those treatments that we would apply for guaranteeing safety and public health to control those infectious diseases,” she said. Dr. Colwell helped create and lead the field of bioinformatics, combining biology, computer science and information technology to advance understanding, diagnosis, treatment, and prevention of waterborne diseases. Yet, she has said she may be proudest of her simplest idea – using folded sari cloth to filter from drinking water plankton with which the cholera bacterium is associated. 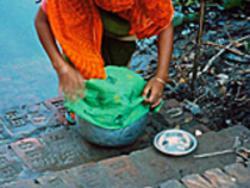 The method was shown to reduce the incidence of the disease 48 percent across 65 villages in Bangladesh. Her research in the Bay of Bengal in Bangladesh demonstrated that warmer surface ocean temperatures stimulate growth of cholera-hosting zooplankton and are associated with an increase in the number of cholera cases. In the United States she was the first to lead research experiments on the impact of El Nino on human health and the aquatic environment. In the 1990s, Dr. Colwell was one of the first scientists to research the impacts of climate change on the spread of infectious diseases. She serves on dozens of international panels, including the Global Health Assembly, and as a top government public health advisor on adaptation strategies to climate change. She has authored or co-authored 17 books and more than 700 scientific publications. She produced the award-winning film, “Invisible Seas,” and has served on editorial boards of numerous scientific journals. 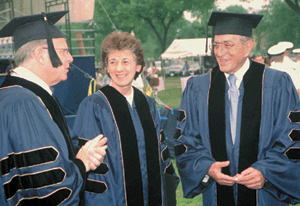 Dr. Colwell is the recipient of numerous awards and honorary professorships, and she was one of 10 women selected for induction into the National Women’s Hall of Fame for 2005. A geological site in Antarctica is named Colwell Massif in recognition of her work in the polar regions. Dr. Colwell has previously served as chairman of the Board of Governors of the American Academy of Microbiology and also as president of the American Association for the Advancement of Science, the American Society for Microbiology, and the International Union of Microbiological Societies. Born in Beverly, Massachusetts in 1934, Dr. Colwell holds a B.S. in Bacteriology and an M.S. in Genetics, from Purdue University, and a Ph.D. in Oceanography from the University of Washington. H.M. King Carl XVI Gustaf of Sweden, who is the patron of the Prize, will formally present Dr. Colwell with the 2010 Stockholm Water Prize at a Royal Award Ceremony in Stockholm City Hall on September 9 during the 2010 World Water Week in Stockholm.